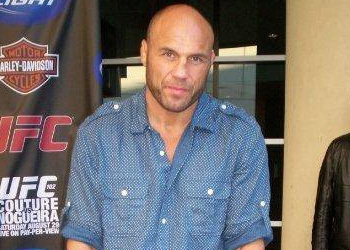 Most thought Randy Couture was old when he lost to Chuck Liddell for the second straight time at UFC 57 in February 2006. Fast forward to Saturday’s UFC 118 victory over boxing legend James Toney and company president Dana White is talking as though “The Natural” is set to embark on yet another masterful light heavyweight title run. “Randy Couture is a handful for anybody on any given night. I still think, and I said it last time and I’ll say it again, it’s incredible at 47-years-old, he’s still one of the best 205-pounders in the world,” White said of his Hall of Famer at the post-fight press conference. Surely his statement regarding Couture isn’t based off his beatdown of Toney in Beantown, as the outspoken promoter previously agreed the match-up was a bit of a “freak show act.” However, Couture representing the sport of MMA the way he did won’t go unnoticed or unappreciated. Fans can take Saturday’s scrap as a cool down from his torrid promotional tour for the blockbuster movie “The Expendables,” and a warm-up for what might be in store – whoever and whenever that may be. Despite his former multi-divisional championship status, Captain America concurs that light heavyweight is where he should resume his illustrious career. And exactly how much longer do you believe you can successfully fend off Father Time?